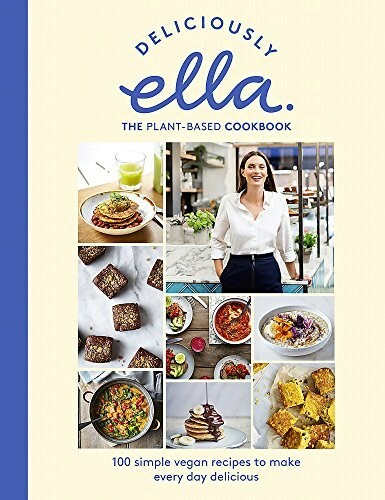 Ella's latest book features the most popular, tried-and-tested recipes from her supper clubs, pop-ups, and deli to show how delicious and abundant plant-based cooking can be. These simple vegan recipes cover everything from colorful salads to veggie burgers, falafel, creamy dips and sides, hearty one-pot curries and stews, speedy breakfasts, weekend brunches, muffins, cakes, and brownies. They're the recipes that Ella's thousands of customers have been asking for since the deli first launched in 2015, and each recipe has a beautiful photograph to show you how it should look. In addition to the more than 100 brand-new plant-based recipes, for the first time we are treated to a personal insight into Ella's journey—how she grew her blog, which she began writing to help get herself well while suffering from illness, into a wellness brand—and all that she has learned along the way, as well as what drives the Deliciously Ella philosophy and her team's passion for creating delicious, healthy food. With diary excerpts that document the incredible journey that Deliciously Ella has taken and more than 100 irresistible recipes for every day using simple, nourishing ingredients, this stunning book will be a must-have for fans and food-lovers alike, and it's also perfect for anyone looking to experiment with vegan cooking for the first time.